Just wanted to share this. We saw what we believe was a UFO in the sky last night. It was very low bright orange dazzly like a star but very low in the sky below the clouds, 4 times brighter than Venus which is the brightest star at the moment in the sky. We watched it come from West moving across to East on the same height, making no noise at all. It was controlled and not a Chinese lantern floating. It actually flew across the sky from West to East. Before it went up into the cloud the bright orange disappeared and there was a solid black/grey object, a solid object like an oblong shape, it was silent as it was flying, it went right over the house on its path it was taking. We all went out to watch it 4 of us. My daughter Katie spotted it from the lounge and we all ran outside to the front and watched it approach and go over us and into the distance. My husband said it was not a flare, plane or helicopter, nor a lantern. It was bright sparkly like a star but muchly bigger and down low very low and silent. It was like a big huge star but orange. But low, about half way between the clouds and the ground. We are in Roodekrans. 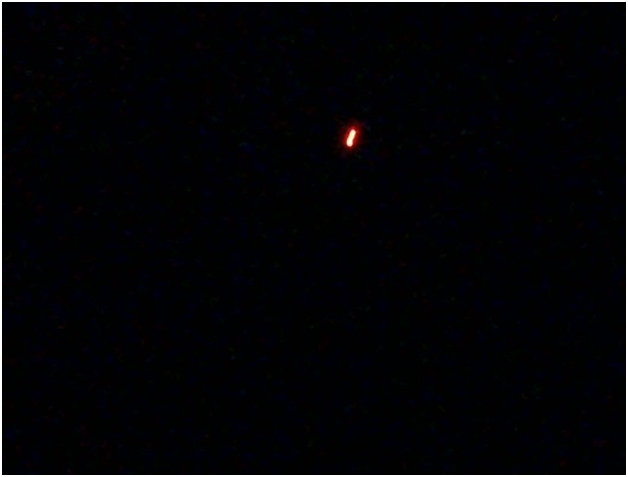 Do you know if anyone else saw this object. 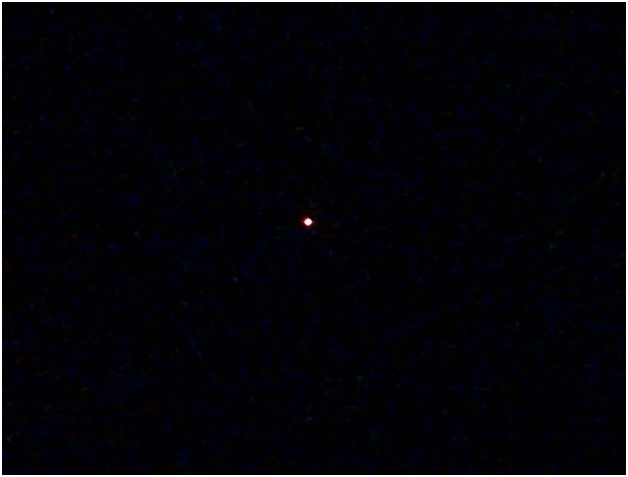 I saw the exact same thing in Phoenix Durban last night (30/12/2013) it was amazing, i am certain it was not a star as it was orange in colour and moved across the sky from east to south west.It did disappear and reappear a couple of times we tracked it for about 3-5 minutes but it disappeared. We have just seen the exact same thing tonight 31 December 2013 at around half past 9. No sound at all,also moving east to west. exactly the same thing you described. My 2 boys and i ran outside and then i called my husband as i thought maybe he had an explanation for it. We stay in the Wilro Park Area. Saw this last night in centurion traveling towards krugersdorp and harties was with six other people that also saw,this. Hi, We live in Ruimsig, Roodepoort. And on the Eve of the New Year while people were shooting off fire works, my partner and I watched 6 orange star like objects approach from thee East and fly over us to the Westand. We also agree that they were NOT flares, helicopters, lanterns or anything that we have ever seen before as they also made no sound. The one stopped and turned back and then hovered for a few moments and then turned and carried on with it’s patch or destination. Their glow went off but we could still see grey/black objects moving away and then eventually disappear…. HI there .i also live in Roodekrans.I have seen 5 ufo’s so far over a time span of 8 years. The first one was at Honeydew at 2 o clock in the morning and was triangular in shape just above the clouds at 3000 feet.It brightened the whole cloud beneath ,where it remained in a static position. The second one was 6 years ago in Roodekrans at 15hoo and was gray/silver with a flat disk shape also in a static position for about 25min. I saw the same one as above passing over my house in December.Bright orange and traveling from east to west at about 200m above my head at about 160km/h. It was a very unusual shape .No wings ,no propeller blades,no engine noise ….complete silence. I have pics of 2 at harties dam a month ago at 10hoo .The fact the these things exist is no hoax at all. I have never seen the same one .They all have different shapes and sizes.The one i saw at harties was static for about 7min and then took off at such a speed that was hard to follow.I have never seen something move so fast .it covered about 10km in 2sec’s. I live in Perris Ca, a couple of days I saw the same thing from my window at 4:20 am, it flew from south to north in a matter of seconds it disappeared for 1-2 seconds then reappeared again. I sawed it today again this morning. Same thing but this time didn’t move much I stayed up from about 4:30 am till 6:00 then I felt asleep.